Central strength member (CSM): glass fiber reinforced plastic material (FRP) with plastic coating when needed. 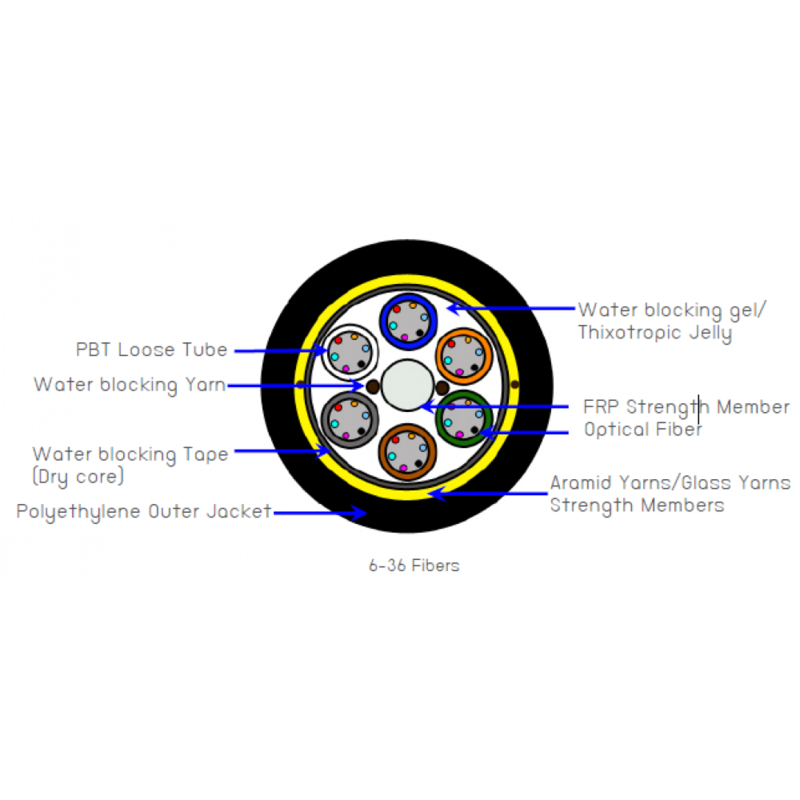 MultiTube: thermoplastic material, containing up to 12 optical fibers and filled with a suitable water tightness compound. Stranding: The required numbers of elements (tubes or fillers) are stranded around the central strength member. Longitudinal Water Tightness: polyester tape (jelly filled). PE Outer Sheath: 1.6mm HDPE UV Protection with rodent repellent additive. Suitable for Outdoor Installation and 2 ripcords.